Dictation is an essential part of learning how to use technology and leverage effectively – no matter how fast you think you type. My recent article about why you should be dictating things rather than typing them yourself was surprisingly popular and received a lot of support from legal practitioners who had more experience. In addition to that support, however, I also received a number of questions from people wondering how you actually go about starting to dictate. Young lawyers are become so accustomed to typing their own things that they had simply never learn how to dictate. This ignorance (no offence) about how to do dictation shows in a number of ways in young lawyers. The first is that their written material has a tendency to be of extremely high quality. Inherently, of course, there is nothing wrong with producing high quality written content. But, by and large, the focus at University is on written language, and as a result young lawyers can often be lacking in the area of rhetoric. Moreover, the process that young lawyers are accustomed to adopting to produce written material (learned during Law School) is far from the most efficient process. That’s not surprising, because law school requires a largely independent method. It is also a straightforward process. You might have four or five subjects at any one time, with perhaps a few assignments to do, some contact hours to attend, and some study to complete. That is starkly different to legal practice where you will have dozens of files, dozens of clients, calls to answer, marketing to do, networking events to go to, advocacy to engage in, administration to complete, and people to work with. The two environments could not be more different, and as a result nor should the processes used to produce the work be the same. Why Don’t We Teach Dictation? It baffles me that “practical legal training” doesn’t teach skills like dictation. Unfortunately dictation is viewed as an archaic process, one that is apparently dependent upon the “old-fashioned” secretarial system and one which lawyers have a lot of trouble grasping. However, if done properly, dictation can vastly improve your productivity and free you up to do higher value tasks, edit more complex documents, and to develop relationships with existing clients, prospects, and expanding a network generally. Also – even if you don’t have a secretary, digital dictation options are becoming more and more attractive. I recognise that there are a lot of lawyers out there who might give dictation a go if they knew where to start. But that’s only the case if they have the proper skills to do it. 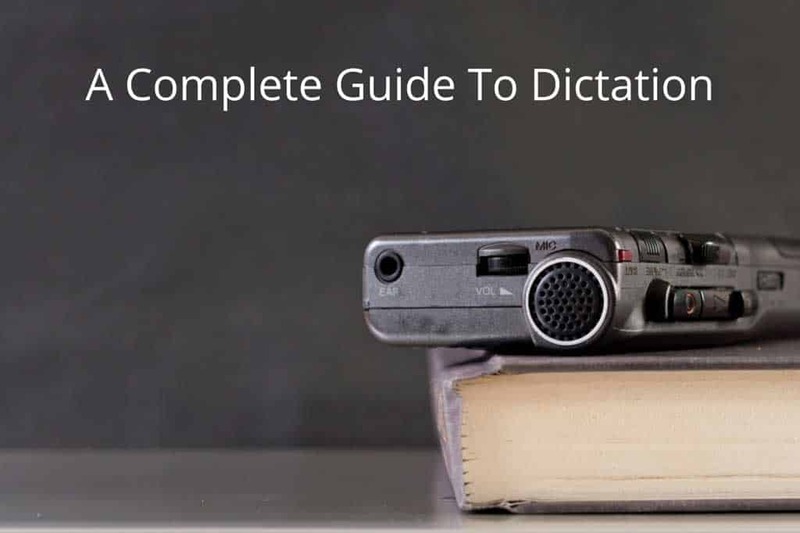 So I thought I would develop this guide to give you a comprehensive overview of dictation, how to dictate, how to use a dictaphone, how to approach more complex documents and generally how you can improve your productivity through the dictation process in a practical way. Ensure that you clearly dictate punctuation – it may sound silly, but it’s the best way to get the product looking as close as possible to final when you see it. So if you’re going to learn how to dictate let’s begin with the fundamentals. Any dictation you do needs to be done from a foundation that the person typing for you does not know what you know. What do I mean by that? What I mean is that dictation needs to be something that is adaptable, so that if you’re secretary or typist is away, there are no assumptions contained within the dictation which mean that it will become inefficient from people asking you questions all the time. As soon as questions, clarifications, issues or uncertainties start to creep into your dictation (in particular otherwise straightforward dictation – the issue is less noticeable with longer more complex documents), it becomes dramatically less efficient and impacts upon the productivity gains that you might otherwise have. If you are doing dictation properly then you are doing it in a way that improves efficiency and productivity – not the way that creates frustration and adds cost. That means that if you’re going to dictate something you need to provide all of the underlying material at the start which the person typing the document needs to have in order to produce the document. For that reason you need to understand your firm’s systems and procedures for document creation. If you do not know what information you’re secretarial typist needs to have prior to creating a document that how can you provide information to them? Now, ordinarily, the information that is required for any document is going to be pretty standard. You are going to need to give someone the file number, perhaps the client name, the recipient’s name and address unless it can be located easily on the file in which case give those instructions, it also means that you are going to have to provide the correct name of the document. If you are not providing these things, then you need to give instructions about where they can be found or at least enough information that no further enquiry is required. A letter is the most obvious example. But if you want the letter to be sent by facsimile, then it is possible there might be a different precedent for that process and you need to make sure you specify which contact details should be used. Communications might be sent by post, by hand delivery, by facsimile, by email. Many firms have different precedent starting points for each of those different modes of delivery. Similarly, you need to provide to typist with information that is necessary in order to ensure that any notations on the document are correct. That might mean you need to specify that it is to go by registered post. It might also mean you need to ask the person to put an urgent notation on the letter, or mark it “without prejudice” or the like. My written description of this opening process really makes it seem more complicated than it is. What really actually only takes a few seconds sounds like a more cumbersome set of instructions. As a result, I thought it would be useful if I gave you a fictitious introductory section to a dictation in an audio format so that you can listen to it and see how easy it really is. Click the link below to play a sample opening introduction for a straightforward letter on a particular file. After you’ve provided the fundamental information so that the document can be produced, you then need to get onto the actual substance of the document. Taking our example of a letter again, this means that you need to provide to the typist the information to go into the body of the letter. Now for me, I generally assume that my secretary is going to know my firm’s style guide and, as a general principle, you will find that most administrative staff are more familiar with the style guide than the professional staff. However, if that is not the case, or if you are uncertain, then you need to be more specific in terms of styling and formatting when you dictate. In case you hadn’t picked up on it, that means that yes, you do in fact need to dictate headings and, often, you should also dictate punctuation (more on that below). Again, going into this detail may seem cumbersome and unnecessary. It also sometimes comes across as unnatural when you first begin dictating and is one of the reasons the people shy away from dictating rather than simply typing their own things. 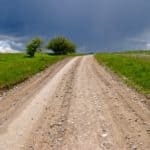 However, once you get used to the process of dictating these extra bits and pieces, you will find that they will start to become second nature. Think of it as simply telling a story, and the words you are using a illustrating how you want the story to be visualised in the mind of the listener. That means if you want a numbered list, then you need to ask for a numbered list. If you want a sub-paragraph then you need to ask for a sub-paragraph. If you want bullets, headings, subheadings, apostrophes, particular signing clauses – then these things need to be part of your overall strategy to dictating. If you have a long standing secretary or assistant, then over time you might find you can start to avoid dictating these things. However, it’s worth bearing in mind that in a larger firm or group there is every chance that a different person, with different experience, might end up typing your dictation for you. As a result, I normally err on the side of caution and include more detail rather than less. Now remember, the purpose of dictation is to improve your productivity and gain efficiency in the production of a letter. That means that the more you can make your dictation self-contained, the better opportunity you have the have a near final document come back at the end of the process. That minimises your editing time and allows you to focus on specific things that might require substantial changes, rather than worrying about formatting, presentation, layout and other issues such as that. One of the issues that is frequently the subject of debate is whether or not to dictate punctuation. My opinion is that, by and large, punctuation should be dictated. To ensure that there is no confusion or unnecessary amendments required after the product is produced. Dictating punctuation also has the added advantage that should you not have a secretary for a time (or at all) then you will be able to use a dictation program more efficiently, should that be an option open to you. To see how this works when it comes to dictating the body of a letter, I have again produced an audio sample of dictation for you so that you can hear how the body of a letter would be dictated on our fictitious file we commenced in the audio sample above. Finishing your dictation is relatively straightforward. You want to make sure that it contained all of the necessary information. You want to instruct your typist as to what the appropriate sign off clause should be. The final thing you need to do is ensure that you give the typist and instruction about what should happen with the document. For example, if you are asking for a draft email to be produced, then the most efficient way might simply be for them to email you the document or to save it in your drafts folder (if they have access to it). If, however, the document is one where you require a draft to be printed, then provide an instruction to. Below is a final audio sample showing how I would finish the draft letter at the above two dictation samples began (I actually put the signing off part in the earlier dictation above, but you get the general idea). What About More Complex Dictation? Now dictating a letter is one thing,but dictating a more complex document takes significantly more work and significantly more practice. If you going to dictate something like a contract or a pleading, then you are going to need to put in a great deal more preparation before beginning your dictation. This is where most young lawyers seem to fall flat on their face. They seem to believe that they should be able to pick up a dictaphone and simply prattle enough words in the hope that they might fall upon the page and look something like a final document. Although it may appear to be the case when you see a senior practitioner dictating the more complex documents such as a pleading or agreement, that is not so. What the senior practitioner is bringing to that dictation is their experience and knowledge about how such documents are to be structured, more so than their experience at dictating. Because the senior practitioner has the experience to know how to set out the details of a pleading, the order in which the pleading ought to be organised, the necessary factors that must be included in the pleading, and enough knowledge of the relevant file that they can dictate without constant pauses, it appears to the untrained eye that the practitioner is simply doing the dictation unprepared. The reality is that as a young practitioner lawyers ought to plan more complex documents in advance of dictating them. It is tempting to simply type longer more complex documents yourself, however, that is missing an opportunity to improve your habits, your abilities, your efficiency and productivity when it comes to the production of longer documents. Rather than give up in advance when faced with a more complex document, what you should do is to plan the document. Taking the example of a pleading, you will start by naming the parties (perhaps on a notepad). You will then set out the major elements of what needs to be dealt with in the pleading. If there are sub-sections within those major elements, then you should set those out. This outline is not necessarily going to be in the same detail as you end up dictating it, however, the outline can give you the flow and the order in which you should dictate. Provided you have prepared the file appropriately, you should have sufficient knowledge of the details of the file to allow you to dictate without having to fill in too many blanks. You can then take your outline and use that as a basis for the dictation of your more complex document. It is important to remember for more complex documents that your dictation does not need to contain all of the information at the first draft stage. If there are lists of invoices, numbers, mathematical factors that need to be done that would disrupt your train of thought or divert you from having a cohesive and efficient process, then those can be put to one side. Instead, simply dictate a placeholder (for example – “the defendant owes the plaintiff the total sum of X dollars”). You can then come back to that at a later time once the document is closer to being finalised. This is different to when you are dictating a short letter or an email where you are trying to produce something as close to a final product as possible. The purpose when dictating a longer or more complex document is to allow you to use dictation as a tool for getting the bulk of the work done in a short space of time. In more complex scenarios there will be a greater degree of attention required after the first draft is produced and it is likely that you will have a number of further drafts before the final document is completed. That is not a reason to avoid dictation, but rather it is reason to embrace dictating in such a way that maximises efficiency and productivity, rather than not doing it all. Finalise the letter, ensuring that you dictate who the signatory is, and that you have a call to action at the end (response time, next steps etc). Just How Efficient is Dictation? Distressingly I do not have a secretary to type my blog posts! However, to test it out I used a trial run of Dragon Dictation to produce this blog post. The post is a bit over 2500 words. The first draft (dictated) took 15 minutes to produce. That’s an average of 166 words per minute to get to first draft stage. Final editing took around 15 minutes more, plus 5 minutes for me to record the example audio files, upload them and insert them into the post. So – a final blog post, with three example audio files, a nice picture and 2500 words in around 35 minutes. To me that’s pretty efficient. Still think you should be typing? So Are you Going to Try Dictation? If you’ve found this helpful and it has encouraged you to get started, do me a favour – share it with your colleagues? The more efficient lawyers are the better, and the more you share this post the more people it can help. – dictate formatting in addition to punctuation, eg italics, bold, underlined. Thanks for that – and some great additional tips too! Your account on dictation is very good.But you have not stated the fundamental to a novice like me where to begin– by holding the home-button and dictating to Siri:this does not seem to work and some say this will not work.The correct way and the only way is to go to Notes and dictate to the microphone on the key-pad. This is the first fundamental step for dictation. Pl guide me by sending a reply to my e- mail.Regards. I don’t think that Siri is going to be very good for dictation for a lawyer – the benefit of dictation is going to be by being able to get the final product into useable form Siri is too hard to do that right now). 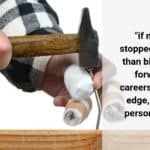 That is why I haven’t dealt with the specifics of any particular type of technology in the process – each one is different and will need different training. Have a great day, and thank you for your comment. Where do I find a dictation program? I am trying DictationPro for free.